Purdue standout Robbie Hummel, Doron Lamb (Kentucky), and Quincy Miller (Baylor) visit the Pacers. 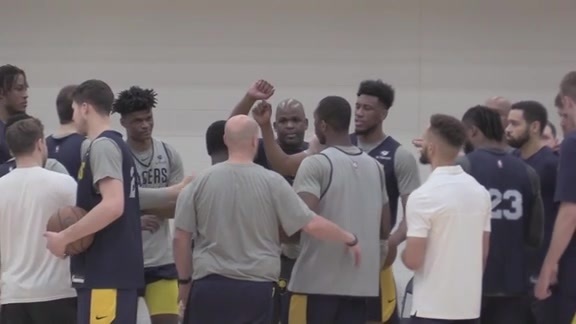 The Indiana Pacers held their sixth predraft workout Friday, June 22 at Bankers Life Fieldhouse. This workout marked the sixth workout in the lead-up to the 2012 NBA Draft. 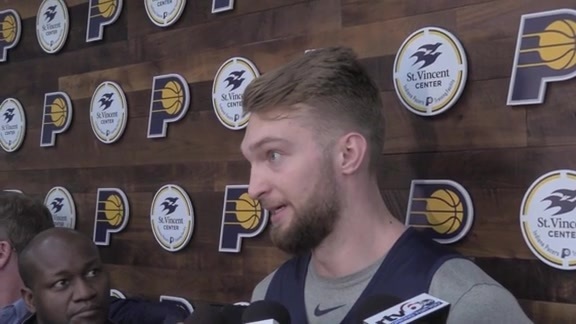 Of particular interest to hoops fans from Indiana was the inclusion of Purdue's Robbie Hummel, the three-time All Big-Ten First Team selection from Valparaiso, Indiana. Hummel, who suffered two torn ACLs during his college career, came back last year to lead Purdue to the Sweet Sixteen before bowing to eventual Final Four team Kansas by 3 points. The list of attendees included Doron Lamb, a 6-5 guard from NCAA champion Kentucky. Rounding out the invitees are Kim English (Missouri), Kenny Gabriel (Auburn), Orlando Johnson (UC Santa Barbara), and Quincy Miller (Baylor). Johnson sprained his ankle during the workout and did not return to the court. See who the experts are picking for the Pacers in our Mock Draft section.